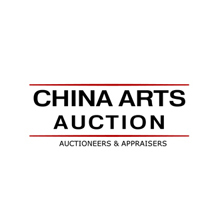 China Arts is a California-incorporated company, born out of a passion for the hobby of collectibles and a desire to take it to a higher level of sophistication. Our aim is to provide professional and expert value-added services to both US and international collectors. So, if you are in California, do feel free to drop by for a visit. You can find many beautiful Asian Works of Arts & International antiques in our auctions. Our auction is being held monthly. You can bid online at 51BidLive website. We will appreciate doing business with you. Get your advance bids in and expect fierce bidding competition. Don't miss this event!